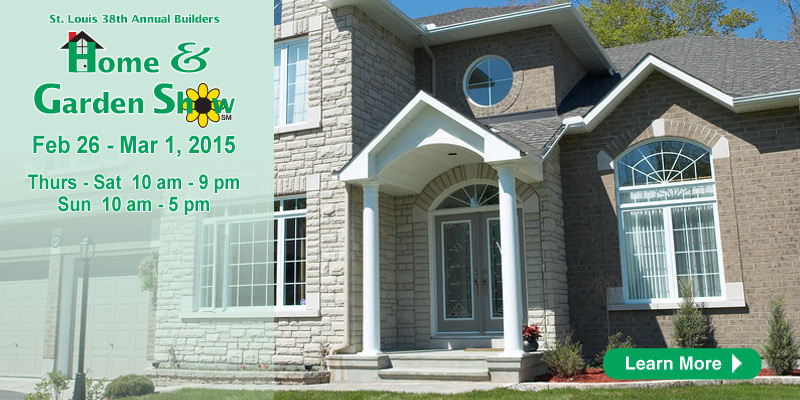 Home | and Specials | Win Two Free tickets to the St. Louis Home Show 2015! Spring is almost here, and its time to gear up and start planning and getting fresh ideas for your home! 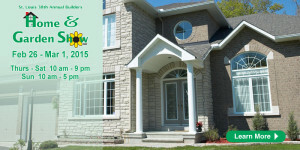 That’s why we at Energy View Home Improvements are very excited to be participating again this year at the St. Louis 38th Annual Home and Garden Show, brought to you by the Home Builders Association. From Thursday, February 26th through Sunday, March 1st at America’s Center downtown, you can find us in booth #2107, where we will be showcasing and demonstrating some of this years newest and hottest products, answering questions on the spot and in-person about your latest home projects and assisting you in helping make your vision come to life! Just imagine, being able to stop by one booth and compare product lines and options from 10-30+ different manufacturers at once for your windows, awnings, siding, doors, and much more! We are so excited to meet and greet with you we are offering 2 sets of 2 FREE tickets to attend the St. Louis home show this year! Just click here to enter and tell us a little bit about yourself and which project for your home you’re working on this year. The drawing for the first pair of free tickets will be held on Wednesday February 25th, and the second drawing will be held on Friday February 27th, so please be sure your contact info (phone, email, etc. ) is entered clearly so that we may contact you! Tickets are good for any day of the show. Thursday, Friday, and Saturday hours are 10am till 9pm, and Sunday hours are 10am till 5pm. Tickets are $10 per adult (unless you win a free pass from us of course!) and well worth it! The home show features over 1,800 booths from over 400 different companies, free speakers and seminars, full food and beverage service available and is family friendly for all ages. Remember to come see us at booth #2107 while you’re there- we look forward to seeing all of you again this year!